During their mid-'90s ascent, the Crystal Method were referred to as America's answer to the Chemical Brothers. A dance-based electronic duo with a definite rock-band feel, the comparison seemed appropriate, although it tended to erase what made Ken Jordan and Scott Kirkland's output distinct: a solid base in American hip-hop, rock, soul, and pop. Unwitting participants in the commercial rise of big beat, the Crystal Method broke through with "Keep Hope Alive" (1995), a Top 15 U.S. club hit, and continued upward with Vegas (1997), their platinum debut album. By distancing themselves from big beat and selecting collaborators from across a broad stylistic spectrum, they continued to thrive with studio albums such as Legion of Boom (2004) and Divided by Night (2009), both of which were nominated for dance/electronic Grammy awards. At the same time, they diversified with soundtracks for video games and films. Jordan eventually left the music industry, but Kirkland continued the Crystal Method as a solo act with The Trip Home (2018). Formed in 1993 by Ken Jordan and Scott Kirkland, the Crystal Method became the longest-running stop in a string of projects that led the producers from their native Las Vegas -- where they had made some four-track stabs at vocal house music -- to the early-'90s Los Angeles rave scene. Drawn in by its youthful idealism, Jordan and Kirkland became absorbed by L.A.'s underground club culture and began knocking out tracks inspired by their experiences. 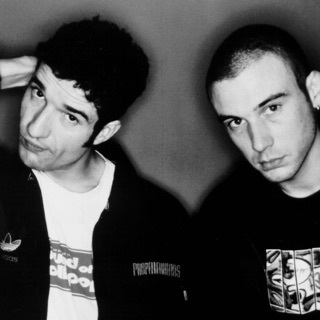 On the strength of one of their demos, the Crystal Method signed to Steve Melrose and Justin King's City of Angels imprint in 1994, and their debut single, "Keep Hope Alive," appeared soon after. The title was in reference to L.A.'s waning rave scene -- burdened by constant police pressure and a string of random violent incidents -- and became something of an anthem due to a barrage of remixes and alternate versions that appeared. In the U.S., "Keep Hope Alive" reached number 14 on the Billboard club chart, and in the U.K. it dented the pop chart at number 71. The pair's demand to be taken seriously as a band -- as opposed to the enforced anonymity of most techno acts, and something of a new concept for American dance producers -- extended to incessant live performances. Jordan and Kirkland's increasing popularity both in the clubs and among radio jocks led to a deal with Geffen affiliate Out Post Recordings in 1996. The group's debut LP, Vegas, appeared in August 1997. An unabashed party record bathed in acid, funk, rock, and big-beat hip-hop, it peaked at number 92 on the Billboard 200 and was certified gold in 1998, propelled by the number one Billboard club hit "Comin' Back." (A tenth-anniversary deluxe edition later pushed the album into platinum status.) Also in 1998, the producers diversified with the soundtrack for the video game N2O: Nitrous Oxide. Tweekend, the proper follow-up to Vegas, arrived on Geffen proper in July 2001, entering the club chart at number one and the Billboard 200 at number 32. 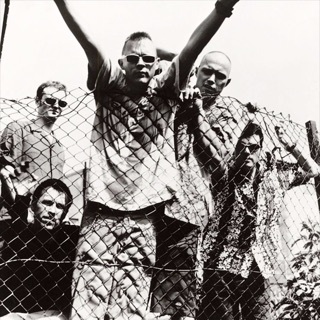 Multiple appearances from Rage Against the Machine's Tom Morello, Stone Temple Pilots' Scott Weiland, and turntablist DJ Swamp helped distance Jordan and Kirkland from big beat. "Name of the Game," the LP's biggest single, went Top Five club. The duo's first commercial mix album for the Ultra label, Community Service, followed the next year. Third studio album Legion of Boom, released on V2 in January 2004, maintained the duo's allegiances to rock and rap, promoted with the number three club hit "Name of the Game," featuring Kyuss' John Garcia and Limp Bizkit's Wes Borland. As with the previous full-length, Legion of Boom topped the club chart and went Top 40 pop, and also did it one better by earning a Grammy nomination in the category of Best Electronic/Dance Album. Another DJ mix, Community Service II, followed in 2005 with the duo's remixes of the Doors' "Roadhouse Blues" and New Order's "Bizarre Love Triangle" among the setlist. The same year marked the Crystal Method's film score debut with London, which premiered in September. A physical release of the score was released early the next year, trailed only a few months later by another commissioned work, Drive: Nike + Original Run.